Grant first started sailing Hobie cats off the beach at St Kilda, in Melbourne, in the late 1970s. After a sailing hiatus of about 20 years, and having met and married Leanne, Grant and Leanne bought their first yacht, a Sonata 7 trailer sailer, in 1997. 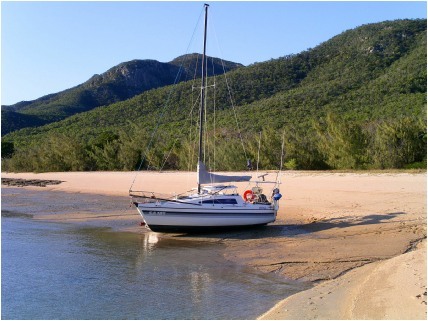 Many great sailing trips followed, including Port Phillip and Westernport Bays in Victoria, the Gippsland Lakes, Mallacoota Inlet, Port Stephens and the Myall Lakes, Moreton Bay, and the Whitsundays. Grant was elected to the committee of the Sonata Yacht Association of Victoria and spent many years as its membership officer. Later the same year, a fellow Sonata owner bought a Mumby 46 aluminium catamaran from Monty’s Boatyard in the Caboolture River, a feeder of Moreton Bay north of Brisbane. 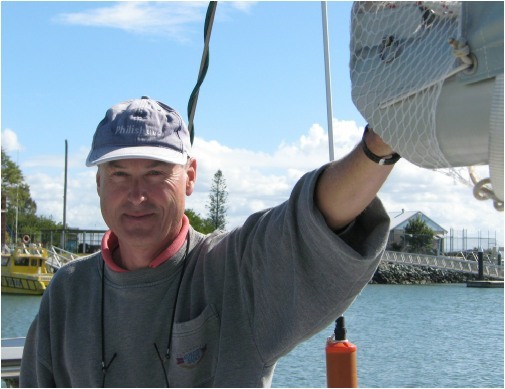 Grant helped sail the boat from there to Lakes Entrance in Victoria. This time there were few adventures, just lots of great sailing, and a growing determination to do more ocean cruising. Not ready yet to make the time and financial commitment of buying their own ocean-going vessel, Grant came up with the idea of starting a club which would have twelve members who would pool their money and buy a boat to share. Thus in early 2004 the Melbourne Cruising Yacht Club (MCYC) was founded, whose initial core of eight members was drawn from the Sonata Yacht Association of Victoria. Grant became the founding President. In late 2004 MCYC bought a 39’ monohull that was for sale in Pittwater. Grant skippered the boat on its delivery trip to Melbourne, along with three other members of the club. 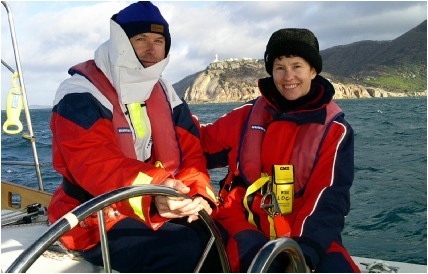 In early 2005, Grant and Leanne, along with various other club members, sailed the boat from Melbourne to Brisbane where it was based for that winter.